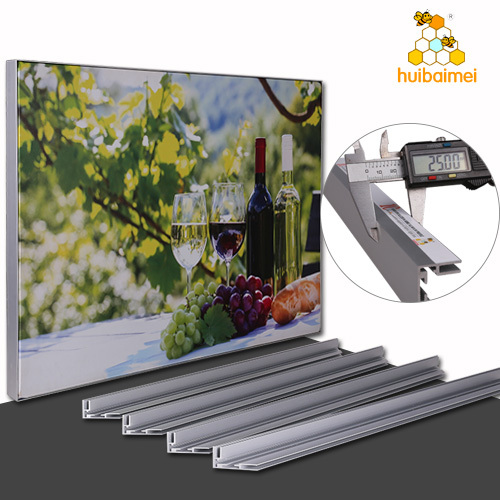 This single side aluminum frame can be used with 25mm and 35mm two thickness to produce the fabric light box. LED light or non-lit design is available. LED poster picture photo frame is mostly wall mounted advertising display. 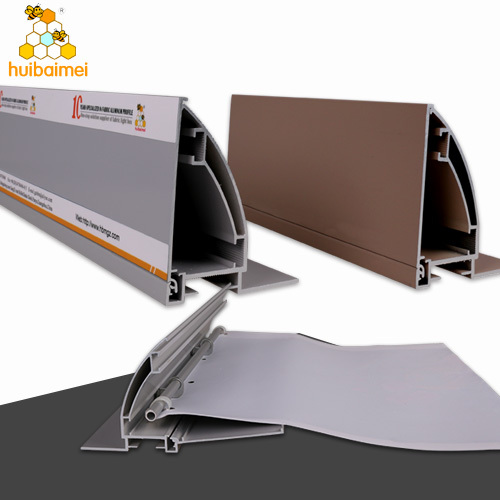 exhibition stands aluminum frames 160MM edgelit LED SEG aluminum extrusion,with edgelit LED. 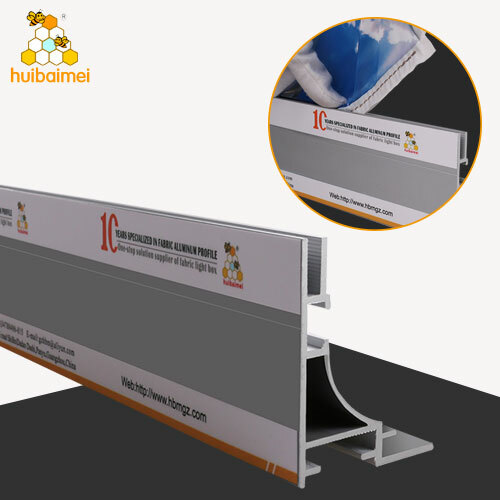 thicken wall thickness can be produced for large format fabric lightbox. 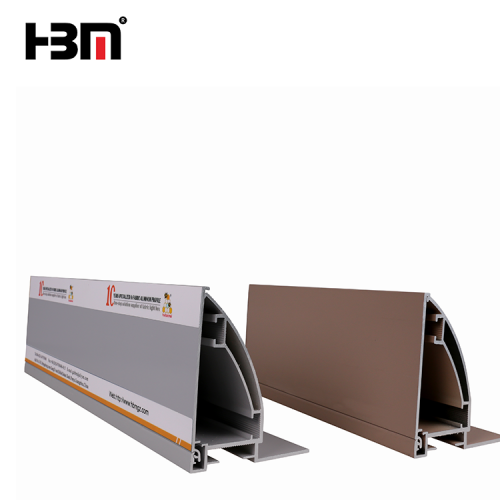 color can be customized,Free standing type with aluminum base. 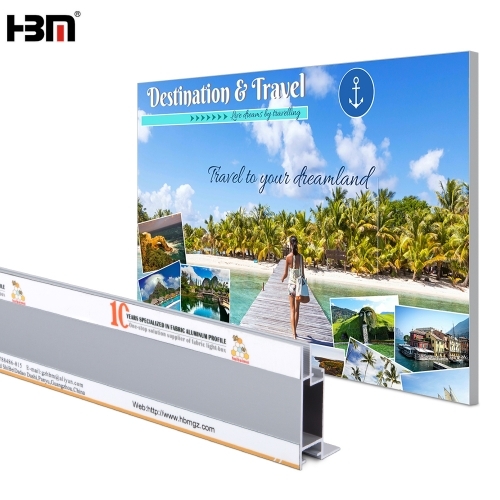 80mm slim aluminum anodized profile extrusion frame for square waterproof advertising fabric light box ,can be used for indoor and outdoor lightbox. 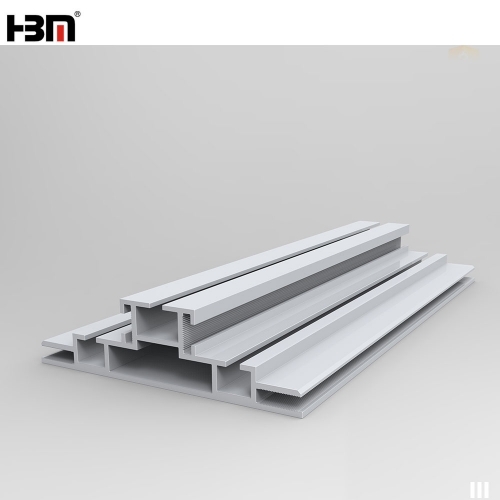 80mm depth single side frameless side-snap aluminum profile,2mm wall thickness,is suitble for large advertsiing light boxit. 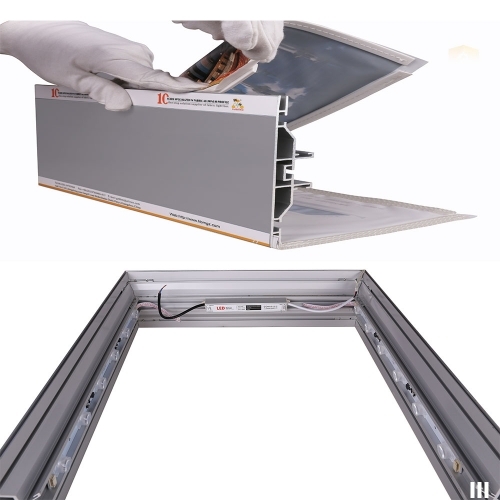 And it is designed for waterproof structure, so can be used for indoor and outdoor lightbox. 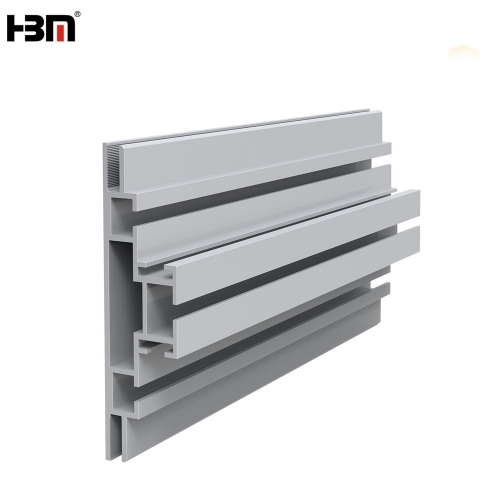 120mm customized seg fabric aluminum profile extrusion led backlit or edge-lit box profile, is widely use to decaration,shopping mall,metro and so on. 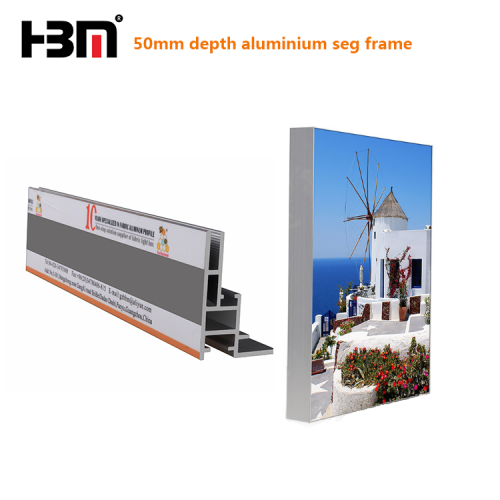 Single side 65mm fabric lightbox extrusion aluminum profile frame,is often used in advertising fabric light box which advertises not only for the beauty/clothes/decorations and shopping mall etc brands,but also for the exhibition display. 120mm customized seg fabric profile extrusion led backlit or edge-lit box profile, is widely use to decaration,shopping mall,metro and so on. 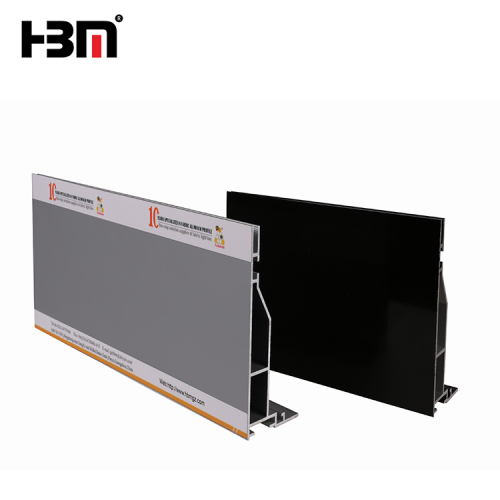 50mm depth single side aluminum profile frame, especially designed for frameless fabric light box advertising display. 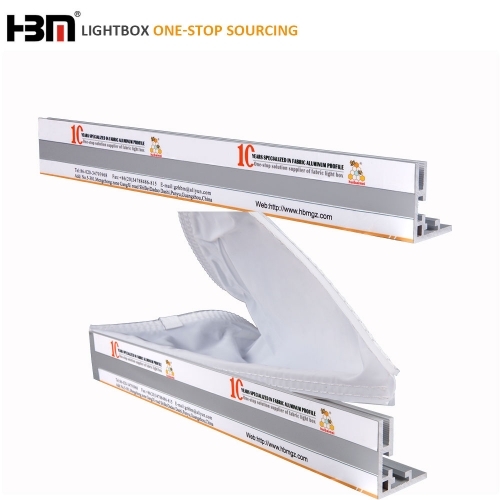 with silver original color and customized color,both suitable for non-lit or with lighting fabric light box. 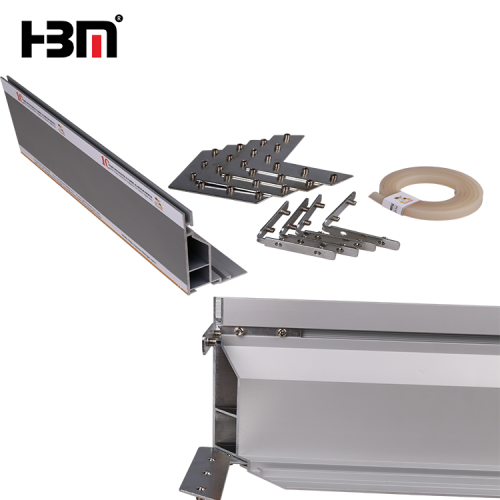 100mm double side aluminum profile is mainly used for Trade Fair,with edgelit LED. double sided can be put two faces posters to advertising. Free standing type with aluminum base or hanging style with hanging system.